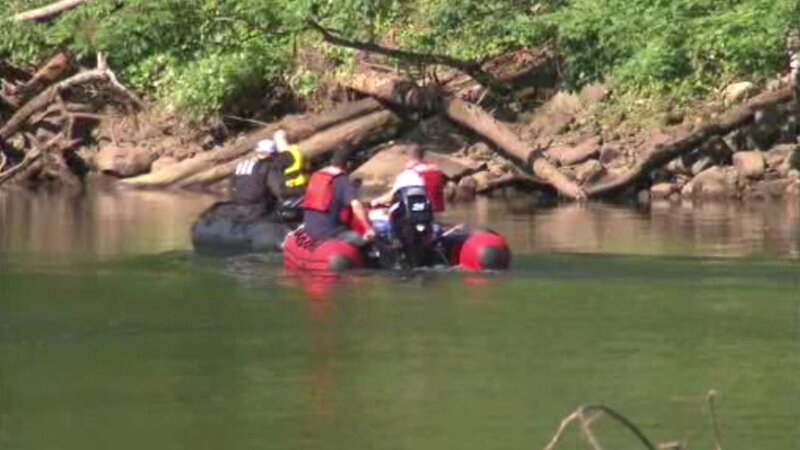 CROTON-ON-HUDSON, New York (WABC) -- First responders are in the midst of a recovery operation in the Croton River near a popular swimming area called Mayo's Landing. They've been searching for a potential drowning victim since mid-afternoon Friday, when a young man disappeared during a swim. Rescuers have found and are recovering the body.